Go ahead, take a sip. 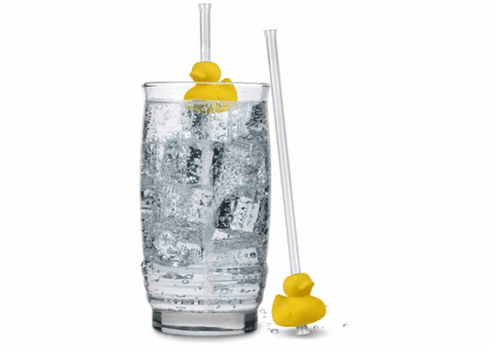 Ducky's happy to go along for the ride, traveling up and down the straw, floating along with your drink. He slides up and down, but he can't slide off and go swimming away. Ducks are foamed silicone and straws are clear ABS so everything is food-safe and dishwasher-safe too. Two straws in each package.